Under brushing is a technique used to clear underbrush including bushes, saplings, tall grasses and weeds from a lot of land, while keeping the mature trees intact. 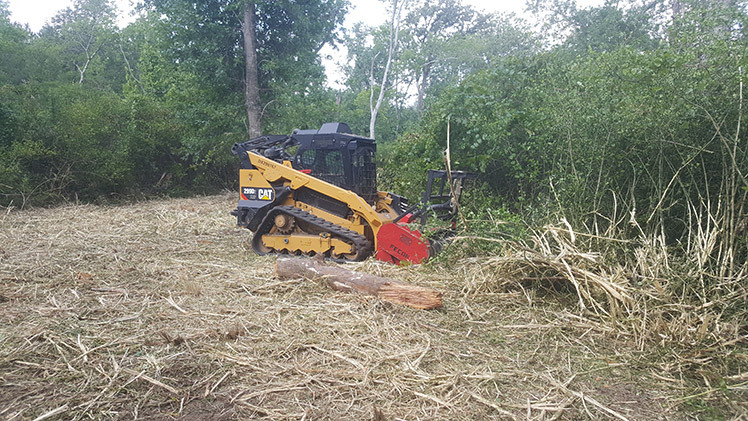 At Texas Ace Land Clearing, we will often use this method in preparation for lot when it’s not necessary to completely clear the land. Another term for under brushing is bush mowing, and it’s a great way to clear smaller sized lots with substantial overgrowth, in order for the land to be used as a backyard, pasture or a shaded, wooded area. Heavy-duty brush mowers are used to to remove unwanted overgrowth while maintaining the allure of mature vegetation. Under brushing is a great option if you’re looking to clear your land of unsightly overgrowth while still maintaining the integrity of the mature landscaping that occurs naturally on your property. Contact us today to discover how we can help you with your land clearing and under brushing needs.